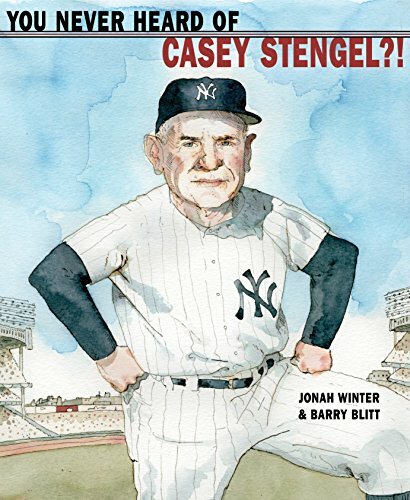 9780375870132 | Schwartz & Wade Books, March 8, 2016, cover price $17.99 | About this edition: Legendary baseball manager Casey Stengel worked with such greats as Joe DiMaggio and Mickey Mantle; he led the New York Yankees to a record-breaking TEN pennants and SEVEN World Series in twelve years; he invented “platooning,” a way to use players that revolutionized the game; he was a prankster who became famous for sayings like “Everybody line up alphabetically according to your height. 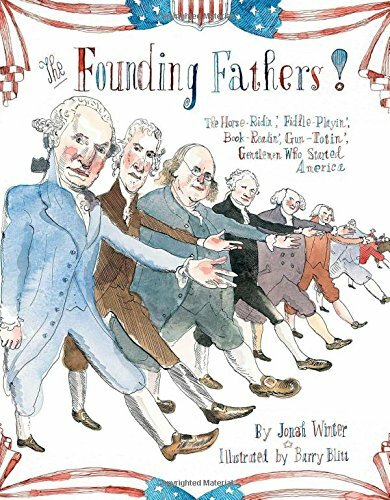 9781442442740 | Atheneum, January 6, 2015, cover price $17.99 | About this edition: In this eye-opening look at our Founding Fathers that is full of fun facts and lively artwork, it seems that Ben Franklin, Thomas Jefferson, and their cohorts sometimes agreed on NOTHINGâ¦except the thing that mattered most: creating the finest constitution in world history, for the brand-new United States of America. 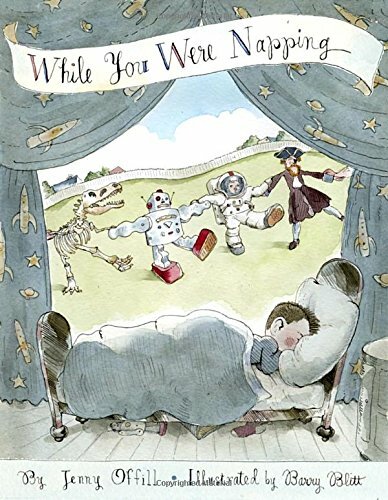 9780375865725 | Schwartz & Wade Books, September 23, 2014, cover price $16.99 | About this edition: In this hilarious read-aloud featuring robots, fire trucks, and pirates, meet an older sister whoâs more than happy to fill her little brother in on all he missed while he was napping. 9780375965722 | Schwartz & Wade Books, September 23, 2014, cover price $19.99 | About this edition: In this hilarious read-aloud featuring robots, fire trucks, and pirates, meet an older sister whoâs more than happy to fill her little brother in on all he missed while he was napping. 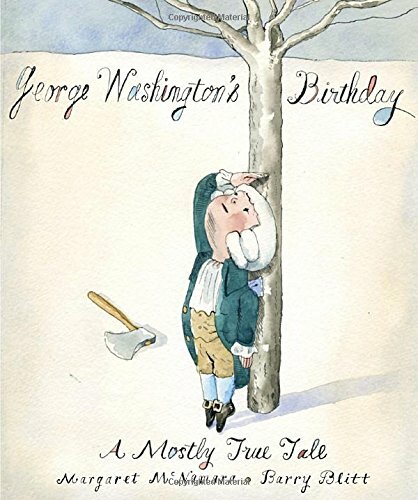 9780375844997 | Schwartz & Wade Books, January 10, 2012, cover price $17.99 | About this edition: A perfect picture book biography from award-winning author Margaret McNamara and New Yorker artist Barry Blitt comes this partly true and completely funny story of George Washington's 7th birthday. 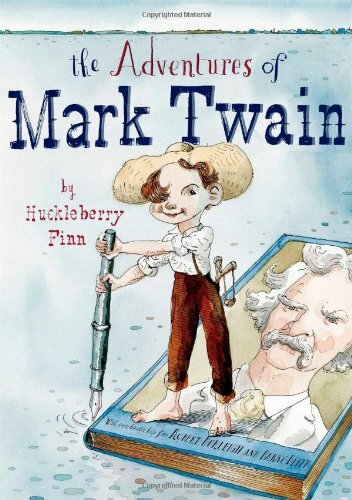 9780689830419 | Atheneum, March 8, 2011, cover price $17.99 | About this edition: Everyone knows the story of the raft on the Mississippi and that ol' whitewashed fence, but now itâs time for youngins everywhere to get right acquainted with the man behind the pen. 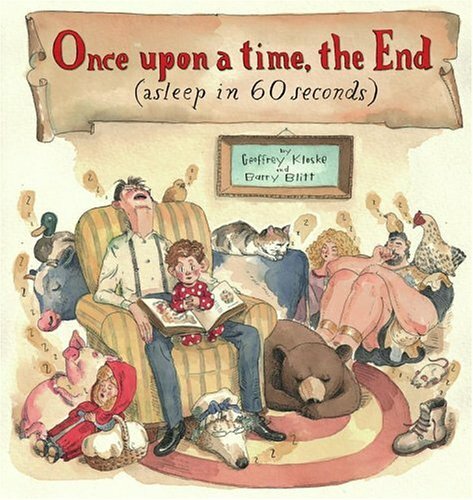 9781416900924 | Margaret K McElderry, March 10, 2009, cover price $17.99 | About this edition: Here are more than 120 hysterical, philosophical, rhetorical, and commonsensical poems and pictures that explore the perfectly not-so-perfect world of picky kids, Miss Muffet's revenge, magic homework wands, yellow snow, and Sunday's sundaes! 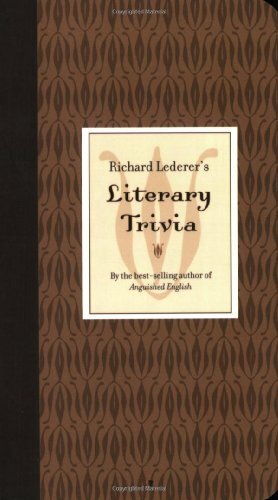 9781423602118 | Wyrick & Co, May 15, 2007, cover price $7.95 | About this edition: Richard Lederer's Literary Trivia What fictional detective survived an attempted murder by his creator? 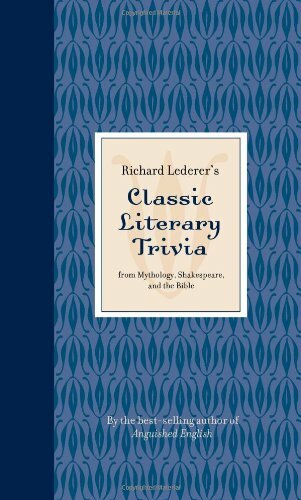 9781423602125 | Wyrick & Co, April 2, 2007, cover price $7.95 | About this edition: Richard Lederer's Classic Literary Trivia from Mythology, Shakespeare, and the Bible What biblical character said, "Am I my brother's keeper? 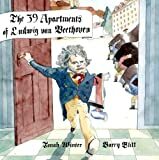 Ludwig van Beethoven and his five legless pianos keep having to move from one apartment to another when his neighbors complain about the noise, in a hilarious introduction to one of the world's greatest composers. 9780375836022 | Schwartz & Wade Books, September 26, 2006, cover price $15.95 | About this edition: Ludwig van Beethoven and his five legless pianos keep having to move from one apartment to another when his neighbors complain about the noise. 9780375936029 | Schwartz & Wade Books, September 26, 2006, cover price $17.99 | About this edition: Ludwig van Beethoven and his five legless pianos keep having to move from one apartment to another when his neighbors complain about the noise. A humorous guide to the challenges and foibles of wedding preparations covers such topics as conflicts with parents, planning a budget, establishing a guest list, orchestrating a theme wedding, choosing a pre-wedding crash diet, and selecting the perfect hideous bridesmaid dress. 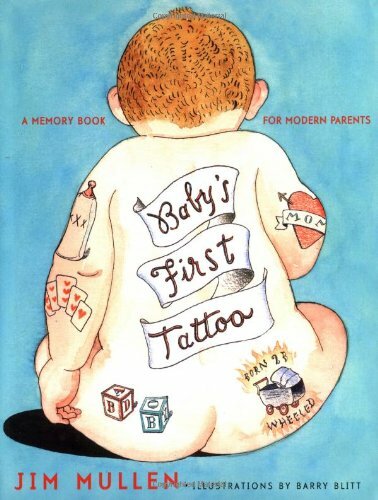 By the author of Baby's First Tattoo. 40,000 first printing. 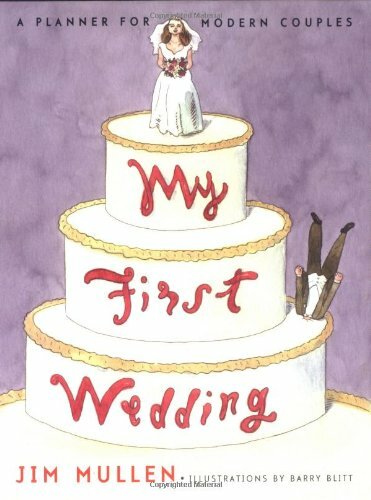 9780743254199 | Simon & Schuster, April 1, 2004, cover price $12.95 | About this edition: A humorous guide to the challenges and foibles of wedding preparations covers such topics as conflicts with parents, planning a budget, establishing a guest list, orchestrating a theme wedding, choosing a pre-wedding crash diet, and selecting the perfect hideous bridesmaid dress. 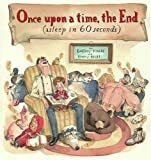 The author of Entertainment Weekly's 'Hot Sheet' offers parents a uniquely humorous scrapbook designed to assist them in preserving cherished memories about the key moments in a child's life, covering topics ranging from Name of HMO that Kicked You Out of the Hospital to FIrst Irreplaceable Heirloom You Broke. 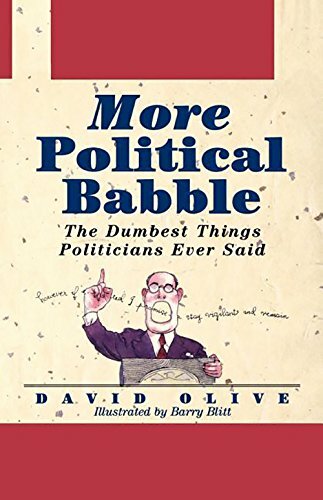 75,000 first printing. 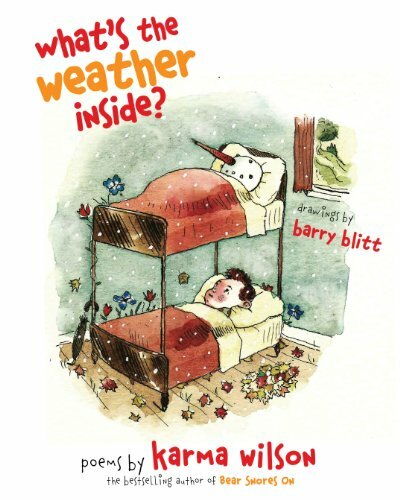 9780743224451 | Simon & Schuster, April 23, 2002, cover price $14.00 | About this edition: The author of Entertainment Weekly's 'Hot Sheet' offers parents a uniquely humorous scrapbook designed to assist them in preserving cherished memories about the key moments in a child's life, covering topics ranging from Name of HMO that Kicked You Out of the Hospital to FIrst Irreplaceable Heirloom You Broke. 9781620457078 | Turner Pub Co, March 9, 1996, cover price $16.95 | About this edition: An award-winning journalist and renowned political cartoonist present over 1,200 entries of the silly, stupid, offensive, arrogant, racist and just plain dumb things politicians have placed on public record. 9781620457917 | Turner Pub Co, March 9, 1996, cover price $29.95 | About this edition: An award-winning journalist and renowned political cartoonist present over 1,200 entries of the silly, stupid, offensive, arrogant, racist and just plain dumb things politicians have placed on public record. 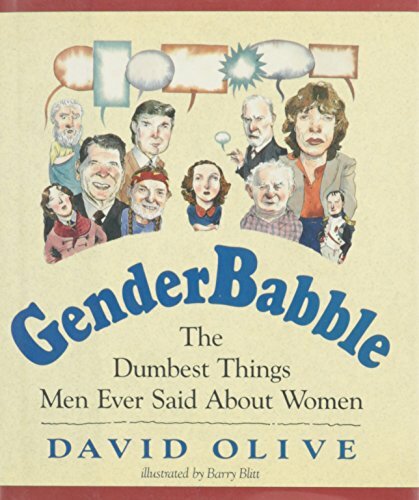 From the creator of Political Babble comes a hilarious compilation of some of the silliest, most offensive, and arrogant things that men--ranging from Aristotle to Andrew Dice Clay--have ever said about women.